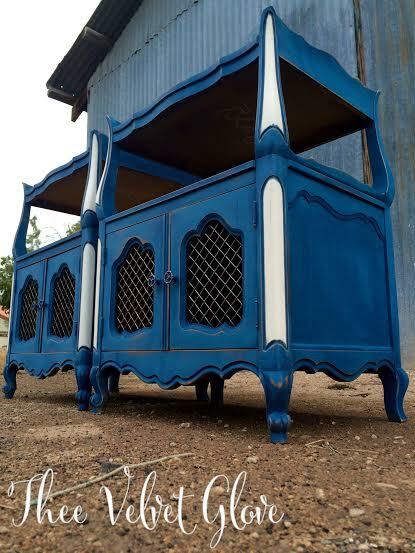 I love blues with my whole heart. 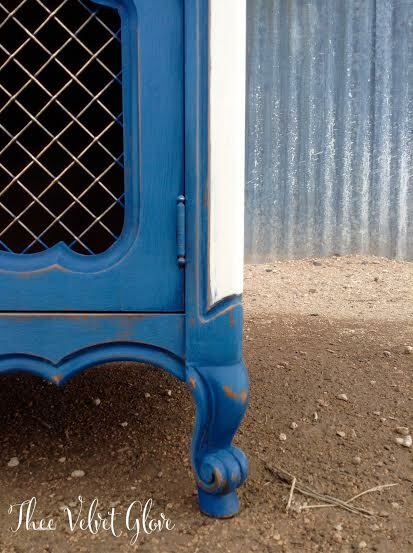 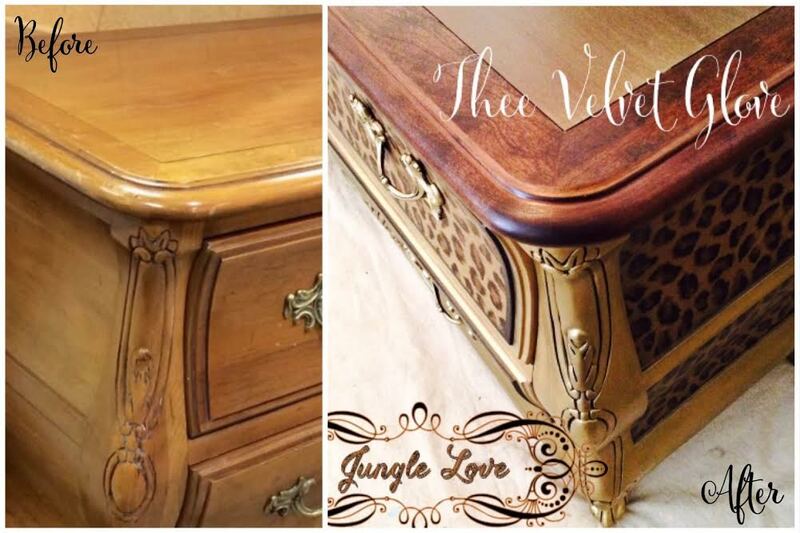 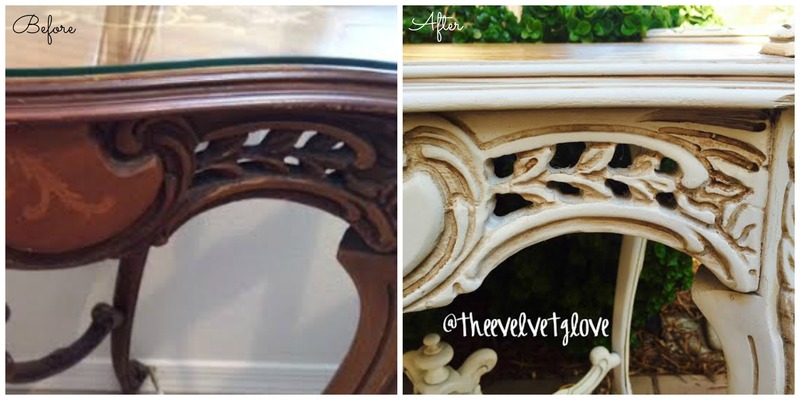 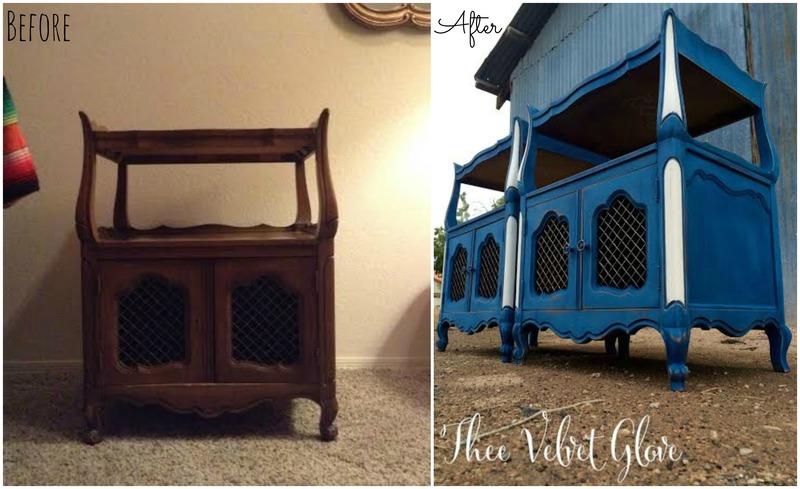 I painted these nightstands in Ol’ Navy from the Vintiques line of Chalk Type Paint by Heirloom Traditions. 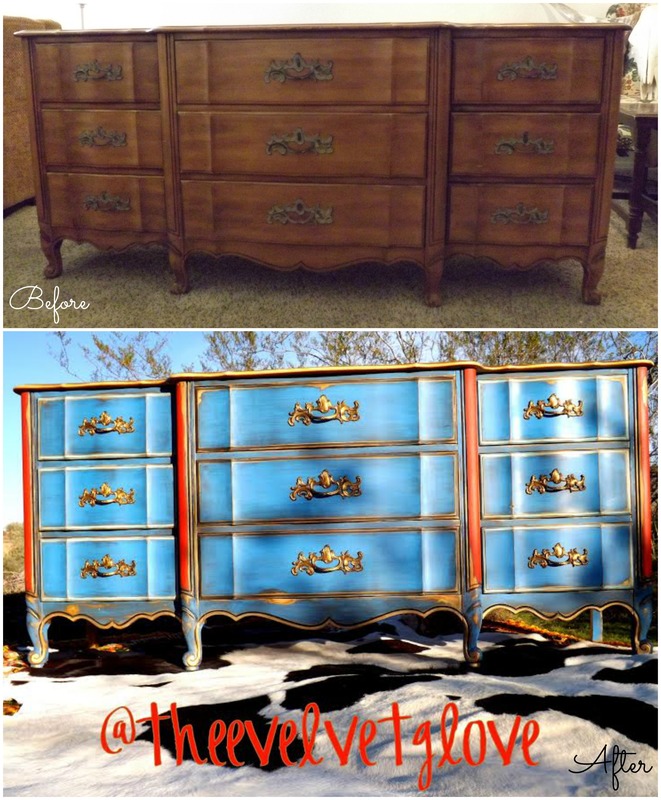 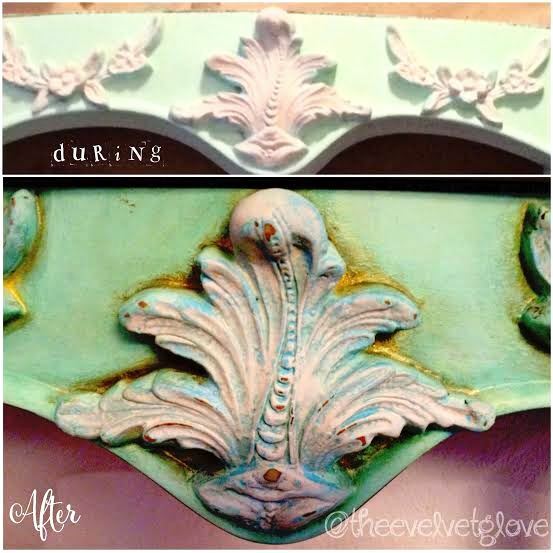 The accents are painted in Chantilly Chalk Type Paint by Vintiques. 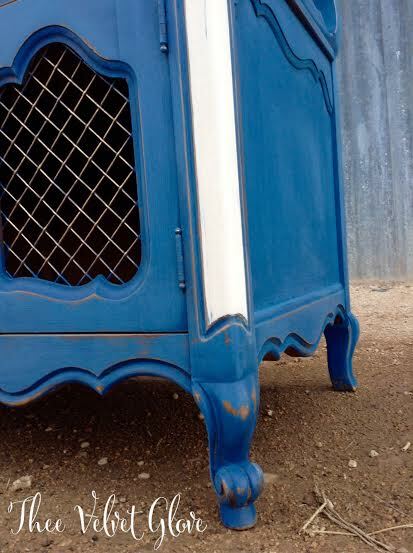 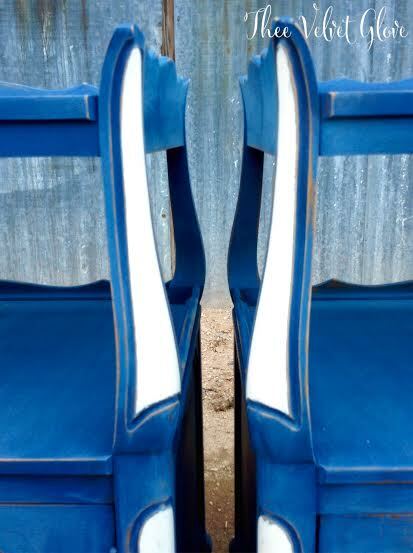 Lightly distressed to bring out a variation in color and finished with Oxydized Patina (over the Ol’ Navy) and Clear Spray Wax also by Vintiques. 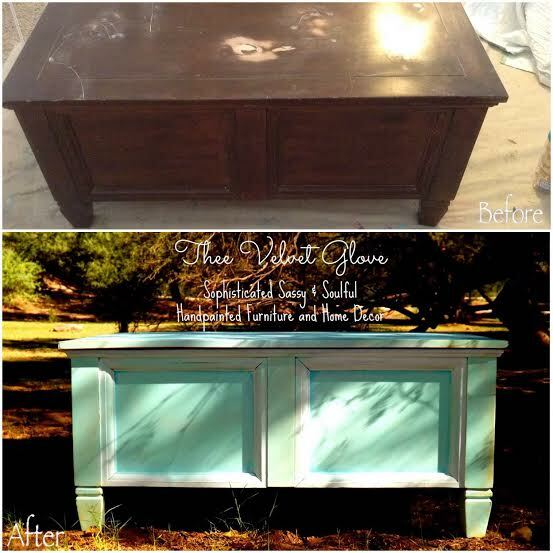 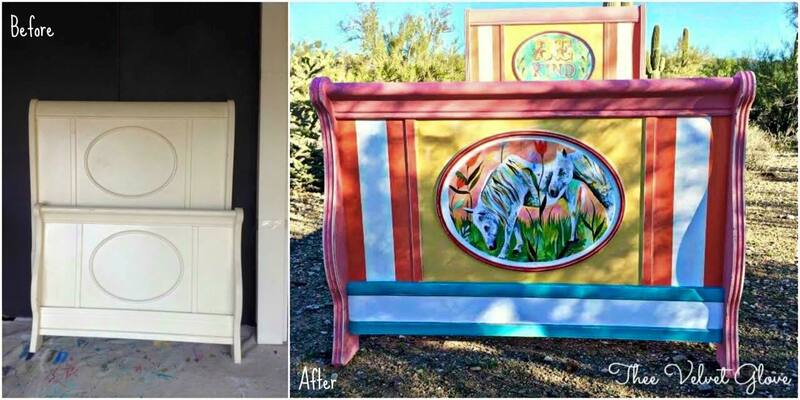 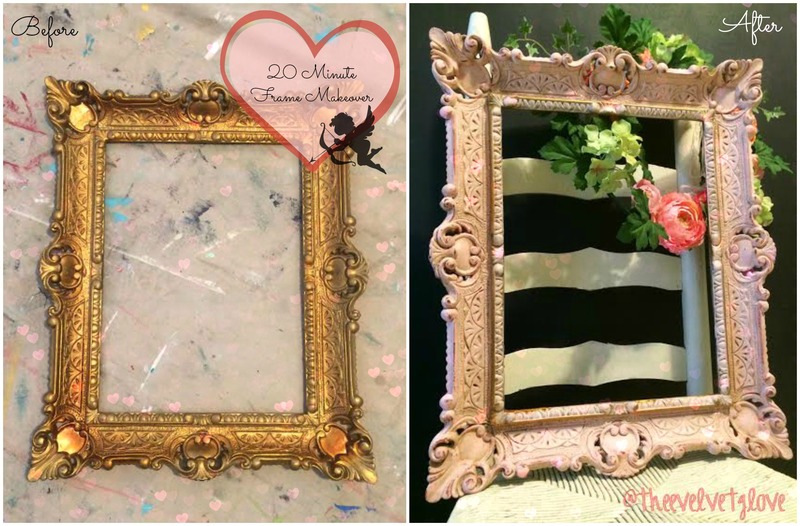 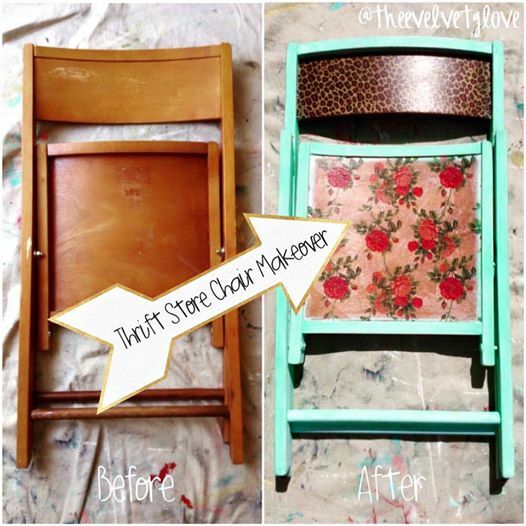 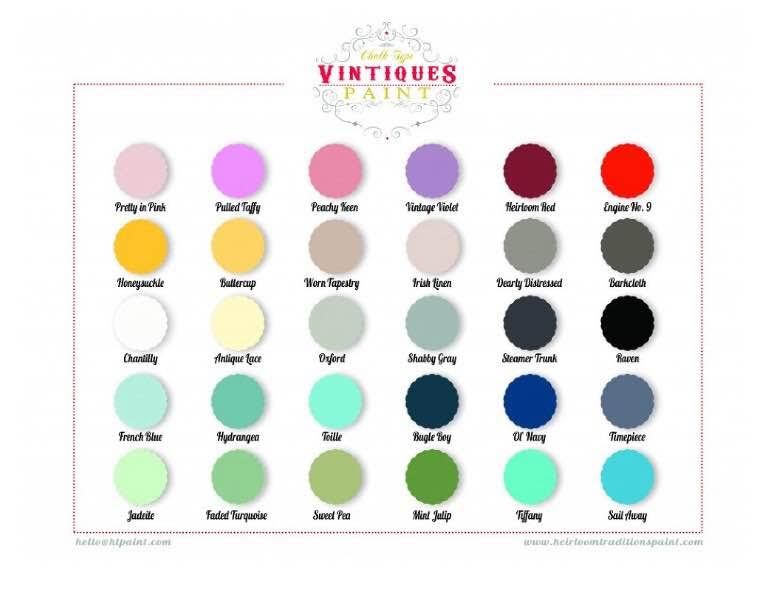 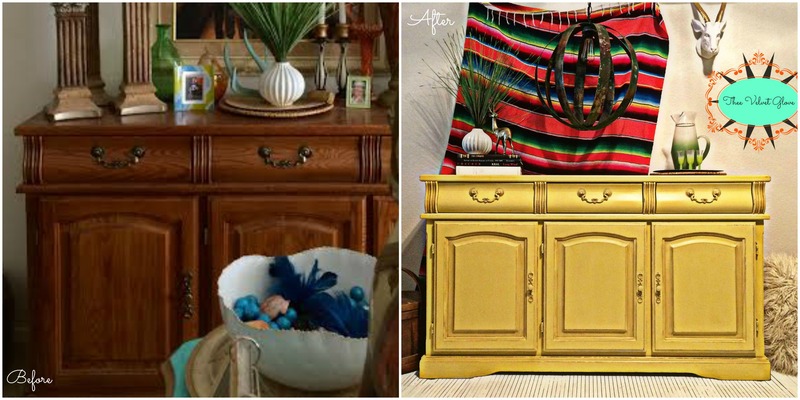 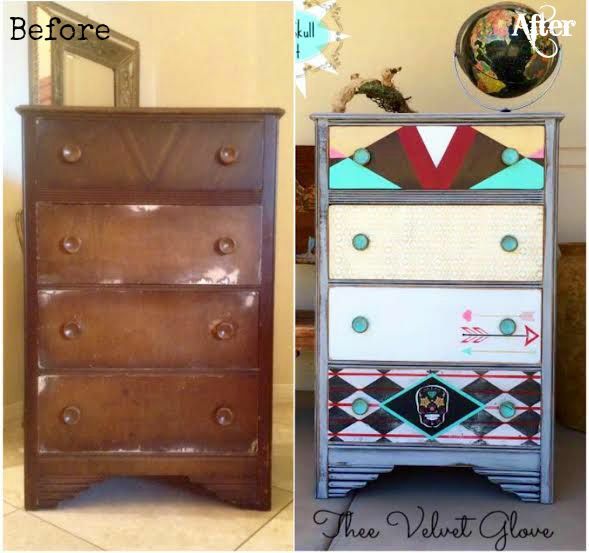 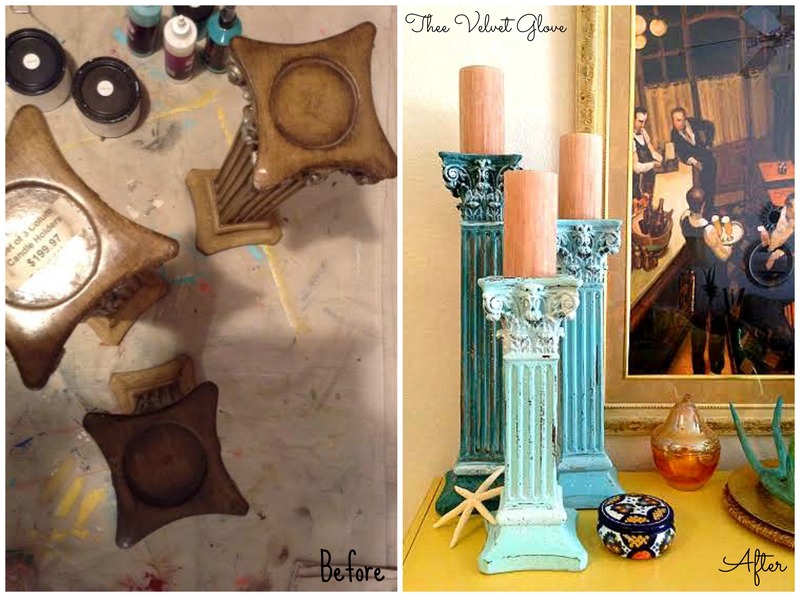 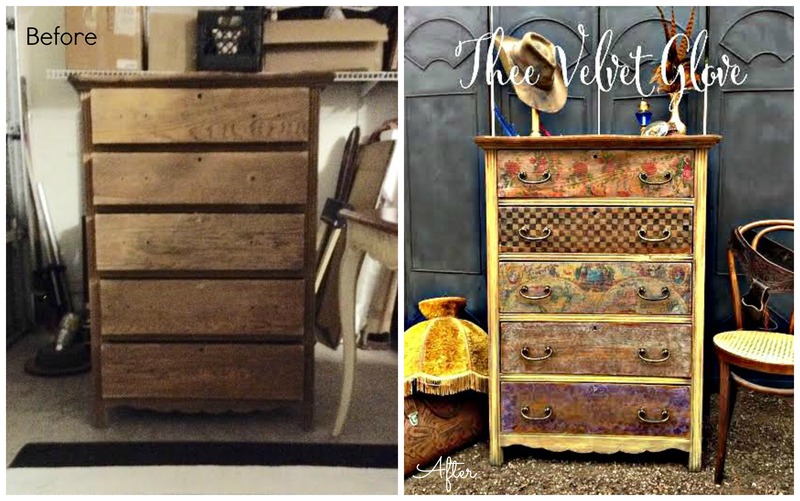 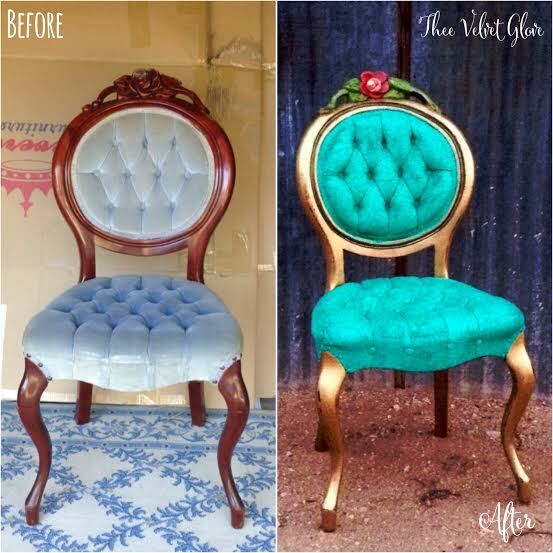 Vintiques Chalk Type Paint is the same amazing formula as Heirloom Traditions Paint but with a funky and fun color palette. 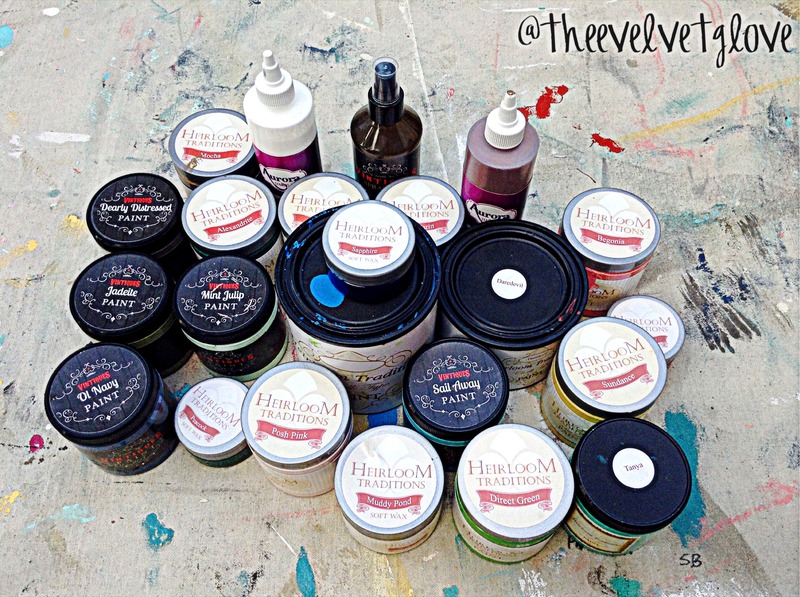 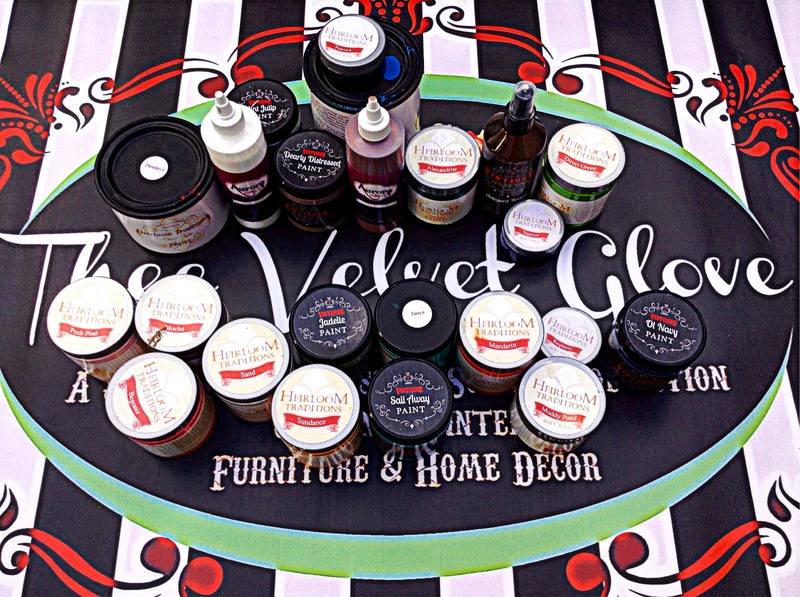 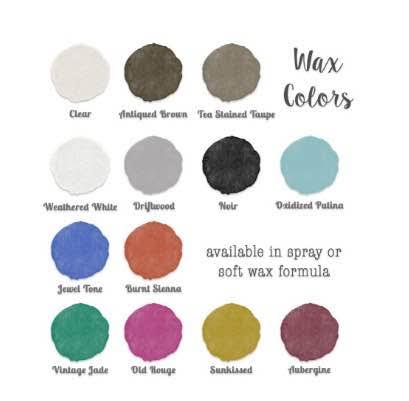 There are 30 paint colors and 13 wax colors (available in spray and soft formula). 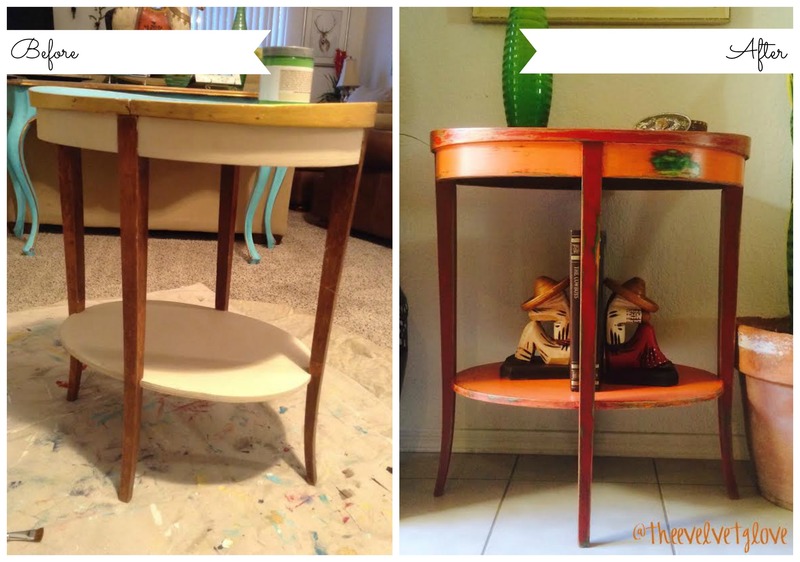 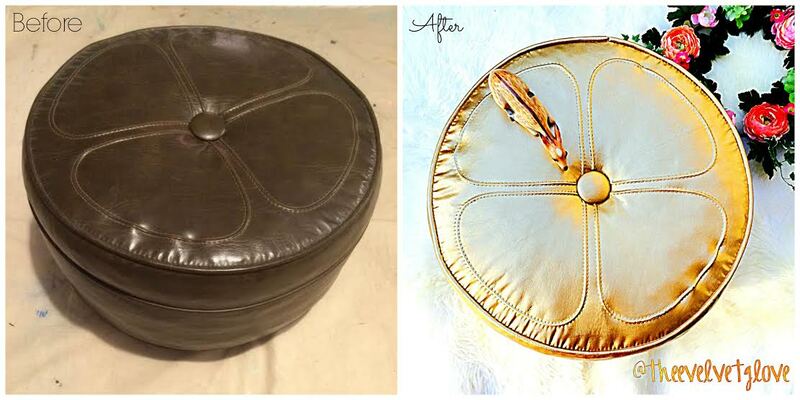 “It’s vintage with a modern twist!! 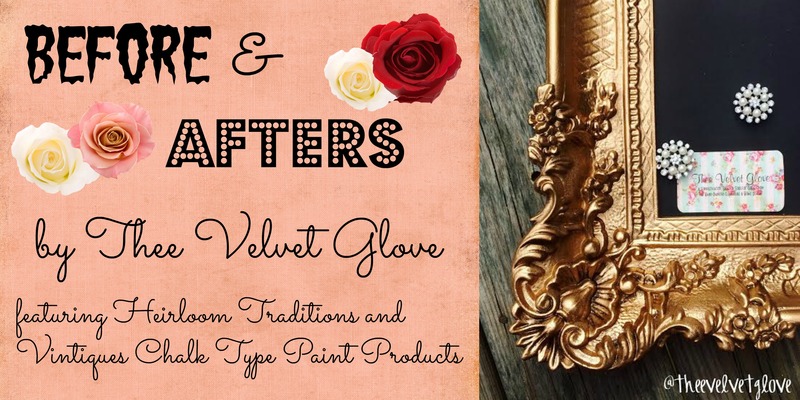 !” They also offer an amazing primer, a dark and light patina, and a finishing top coat in three different sheens.